The Esri Geotrigger feature allows an application to send messages in real time to individual users as they encounter a geofenced area. Here, a visual trigger editor allows a nontechnical staffer to modify geofence locations and Geotrigger logic on the fly, without writing any new code. 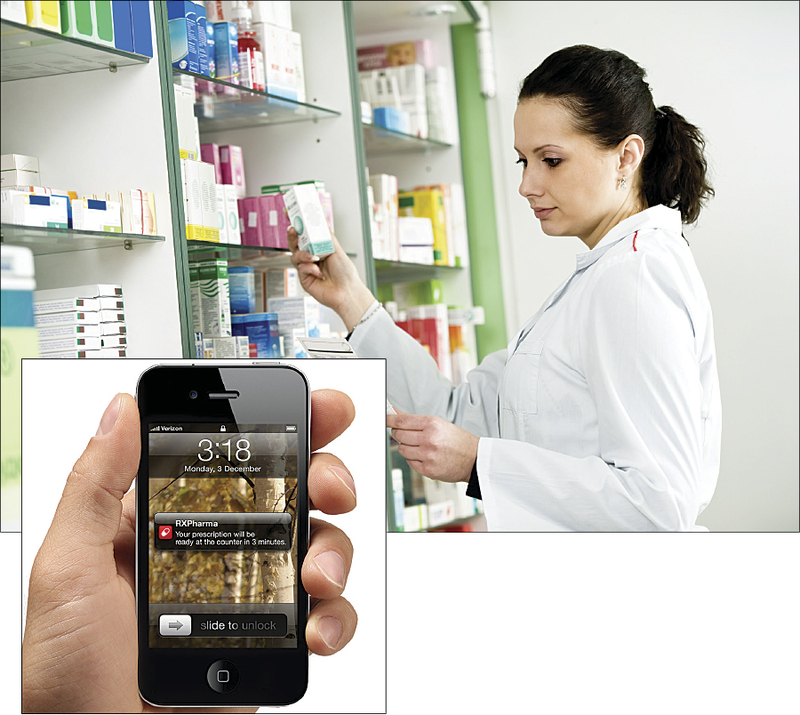 What could your mobile application do if it knew where it was? Persistent location awareness has been the Holy Grail of location-based services (LBS), particularly now that GPS has become a standard feature on today’s mobile phones. Yet, until now, battery life has been a common issue that has prevented a satisfactory user experience. Geoloqi has created a patent-pending technology that cracks that nut by getting clever about how to manage the native location tracking capabilities on a smartphone and optimize those services to give the application an awareness of when its user is near a relevant point of interest. Much like Esri, Geoloqi did not choose to create its own consumer-facing LBS application but instead focused on creating a platform and set of services that can be used by mobile application developers in virtually every industry Esri serves. Since Esri’s acquisition and integration of Geoloqi technology in September 2012, the company is bringing the power of location-aware mobile applications to ArcGIS Online customers. Individual Geotrigger notifications are automatically pushed to mobile users upon crossing a geofence. Real-time tracking in smartphone applications allows for deeper understanding of the behavioral and movement patterns of the user base. The Geoloqi team adds both leading-edge mobile location tracking and the Geotrigger platform, as well as deep expertise in how to create and publish application programming interfaces (APIs), software development kits (SDKs), and sample code that make the creation of geoenabled mobile applications efficient to build, simple to deploy, and scalable. ArcGIS users will see this approach to mobile application development extend across the ArcGIS Online feature set and APIs in the coming months. How Does a Geotrigger Platform-Enabled Application Work? By utilizing ArcGIS Runtime SDK for iOS or ArcGIS Runtime SDK for Android, developers can embed the Geotrigger library in their application, which allows it to send and receive location data from a cloud-based streaming server in real time. This then enables the application to know where it is in relation to relevant points of interest or geofences that have been created by the developer using a web-based API. Left and above: Automatic check-ins enable better customer service experiences for retail and hospitality industries. When the mobile user encounters a geofenced area, the cloud service will execute a developer-defined Geotrigger event, whether that is sending a push notification to the mobile user; computing and logging the dwell time until they leave the geofenced area; or sending a URL callback to an external service, such as a customer relationship management system or customer service portal. How Does Geotrigger Differ from Other Geotargeted Messaging Systems? Most geotargeted marketing/advertising platforms offer messaging solutions that use a geofence as a way to filter their user base and send messages to users who happen to be within the geofenced area at a given time. In other words, they figure out which opted-in users are within the geofence and then broadcast the same message to all users inside it. The Esri Geotrigger feature does the opposite, allowing an application to send messages in real time to individual users as they encounter a geofenced area. As a result, the application’s action can be much more personalized, timely, and relevant to the user. 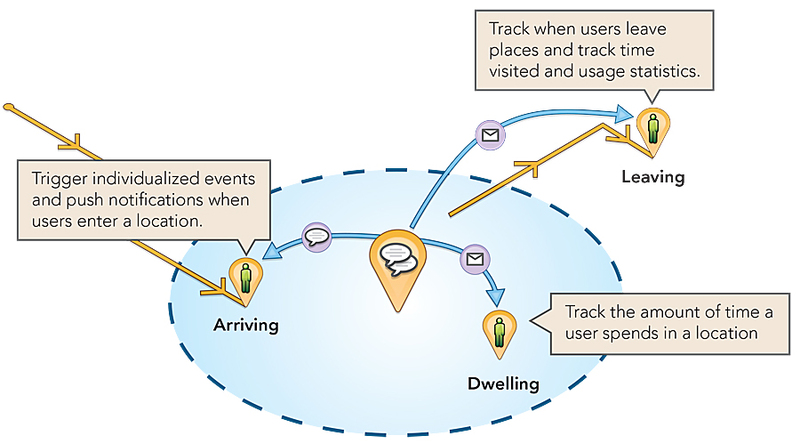 A Geotrigger notification can be sent upon a user's arrival at a geofence, after a predetermined time dwelling within a geofence, or upon departure. When Can You Use Geotrigger Technology in Your Applications? The Geoloqi team, now at Esri R&D Center Portland (Oregon), is integrating Geoloqi technology into the ArcGIS Online core platform. 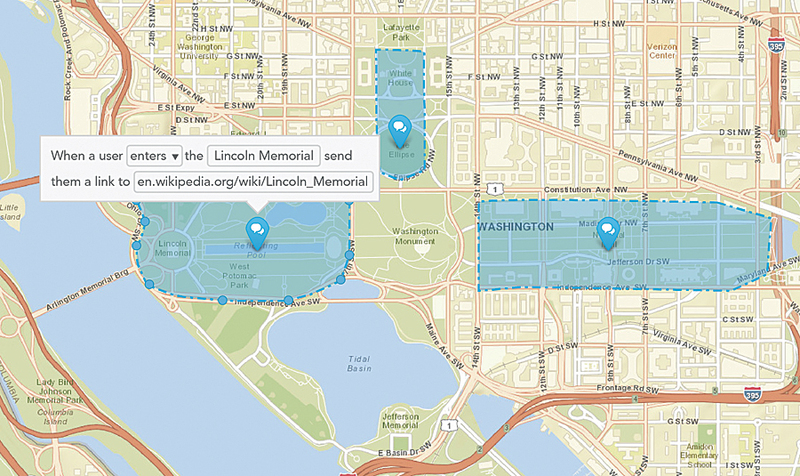 ArcGIS Online with Geotriggers and geofencing is expected to be available in beta for developers by the second quarter of 2013. 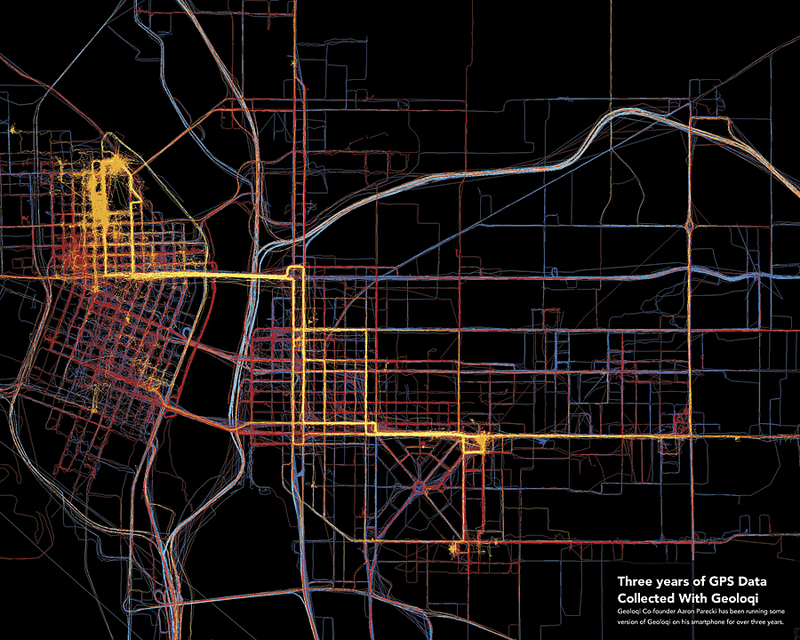 Full integration into ArcGIS Online is expected in the third quarter. For more information on Geotrigger, visit geoloqi.com.